I have a confession. 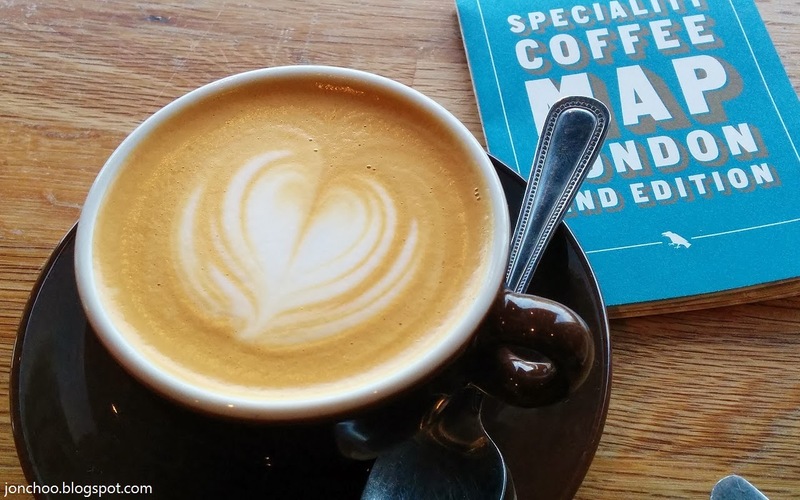 When I was first introduced to Brockley, the area we now live in, it was through the wonder of London's specialty coffee scene. Brockley is an odd place to visit for coffee, but it was how it was. In any case, our chance visit to this part of Lewisham opened our eyes to its lovely Victorian housing stock, many of which were largely ignored, but so many potential. The rest was history. 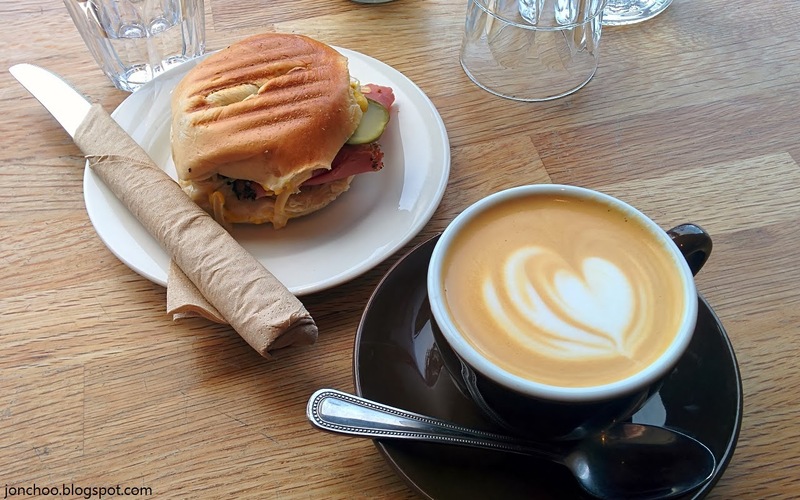 Browns is located conventionality in a row of terrace opposite Brockley railway station, making it an ideal spot to hang out in the wee morning when a train breaks down somewhere down the line. The shop is small and unassuming from the outside, and neutral and unpretentious on the inside. Delicious cakes and bagels greet you as you enter the shop. Oh, and the sweet smell of good coffee. Being a rather tiny shop, you will not escape the sound of the grinder grinding the Square Mile beans and the La Marzocco espresso machine doing its best to pump out delicious black caffeine. And when it comes to the finished product, the coffee here is brilliantly delicious. Each and every drink, without fail, and I don't mean just the latte art. One thing I find shameful about many of London's specialty coffee shops, particularly those found in Hackney and Soho, are the lack of training in hospitality. There's a coffee shop in Berwick Street, Soho (named after a coffee beverage) that many attribute to bringing antipodean-style coffee revolution to the city, but the staffs are always so miserable. I do love a good cup of specially made coffee, but not one laced with snobbery. Fortunately, the people at Browns are some of the loveliest, friendliest people you can find in a coffee shop. In my many visits to Browns, I've never encountered anything other than politeness and friendliness - something I find truly lacking in many indie cafes. It truly is one of the most welcoming cafes in London. There isn't a short supply of good coffee shops in London, even in South East London. But what sets Browns apart from their competitors outside the area is their strive for perfection, both in their cup of coffee as well as customer service. I may be biased as this is my local, but I truly believe that Browns is an example of how a local independent coffee shop should be run.